One of the great things about the SNP’s Pete Wishart is that he is consistently inconsistent in his views. His remarks on “English votes for English laws” (your report, 8 July) are no exception. Despite claiming expenses and a full salary, Mr Wishart has one of the worst voting records in Westminster as he only tends to vote on issues that are relevant to Scotland. Indeed, this reflects the principled position adopted by the SNP as a whole. For example, the SNP government declined an opportunity to comment on a consultation relating to David Cameron’s creeping privatisation of the NHS in England. Within this context, I find it hard to understand the concern Mr Wishart has regarding the move towards Evel as it is entirely consistent with his own views – it would mean English MPs have the last say on English issues. Indeed, just last week Mr Wishart complained vehemently about English MPs daring to vote against his party’s wishes on full fiscal autonomy. 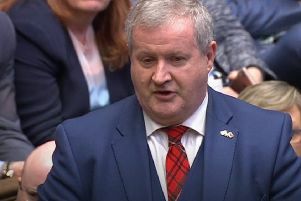 Furthermore, in Wednesday’s debate he claimed the Evel proposals were a “constitutional outrage” despite having said in 2014 that Evel was “an issue that the Scottish people could not care less about”. If the SNP is to be taken seriously as a political force in Westminster, and that is everyone’s interest, they must adopt principled positions on the issues of the day. The political opportunism and the manufacture of grievances must be set aside. Sniping from the sidelines was fine when the SNP was a small force in Westminster and had to fight to be heard, but now that they have 56 MPs it is time for a mature debate. I’m afraid Alex Orr and Malcolm Parkin (Letters, 4 July) combine to muddle the West Lothian Question (ie, MPs from Scotland at Westminster voting on English matters) they claim to clarify. Mr Orr’s two examples do not fit. In 2003, foundation hospitals in England, funded from public NHS funds but delivered by contractors, do not equate to privatisation, any more than those contracted to supply food for hospitals is privatisation. But as the target of the exercise is, as usual, the SNP, anything goes – by contriving to imply their apparent hypocrisy in voting against the proposal then. His 2004 example is mistaken. The important issue on top-up fees was not the SNP voting against the proposals, but the countering of that with Labour MPs for Scottish constituencies voting for the measure, because the Westminster Labour government had met opposition from its English MPs. Little did that Scottish contingent realise that, by voting for the fee-based solution to English education funding, they kept the funding out of the tax-borne system, and so deprived Holyrood of what would have been its Barnett share, for which we are paying the tax to achieve. And, in this context, it does not matter that we already charged fees – we are entitled to our Barnett share of English tax-born funding on the devolved services. Malcolm Parkin was quick to come out to support Alex Orr. I hope I have succeeded in de-muddling his thinking on the issue – but, not to worry, he will have many more creative opportunities to do down the SNP!